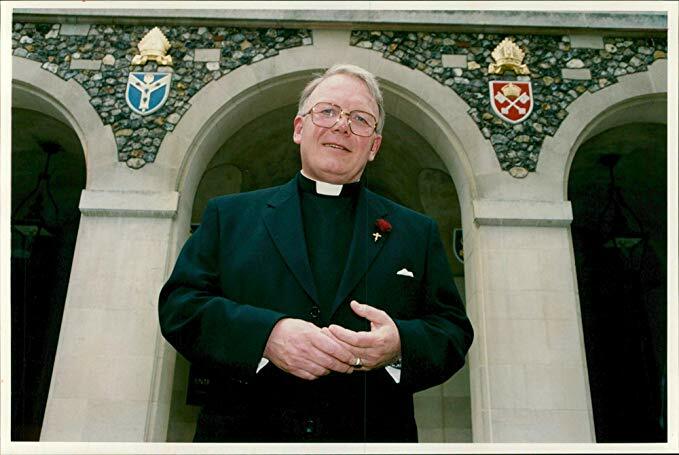 Monsignor Edwin Barnes, (6 February 1935 – 6 February 2019), was a former Anglican bishop who became a Roman Catholic priest after converting. Monsignor Edwin Barnes, died at the age of 84. He was a celebrated Anglican priest and bishop from 1960 until his retirement in 2001. Ten years later, however, together with his wife he was received into the Roman Catholic Church. On 21 January 2011 he and his wife, Jane, were received into the Catholic Church at the Church He was ordained to the priesthood on 5 March 2011 by the same bishop in the Cathedral of St John the Evangelist, Portsmouth for the Personal Ordinariate of Our Lady of Walsingham. In June 2012 he was elevated to the rank of monsignor as a Chaplain of His Holiness. Barnes was educated at Plymouth College and Pembroke College, Oxford. He was ordained in 1961 and began his ministry with a curacy at St Mark's North End, Portsmouth. In 1987 he became Principal of St Stephen's House, Oxford, an Anglican theological college. In 1995 he was chosen to be the first Bishop of Richborough, a provincial episcopal visitor in the Province of Canterbury. He retired in 2001. Mons. Edwin died on 6 February 2019 on his 84th birthday, following a short illness. So then this is one of the first "Married Catholic Priests"....should we consider this an exception an aberration or the beginning of a new kind of vocation within our Catholic Church. Please elaborate on the topic and our current point of view. Thank you !